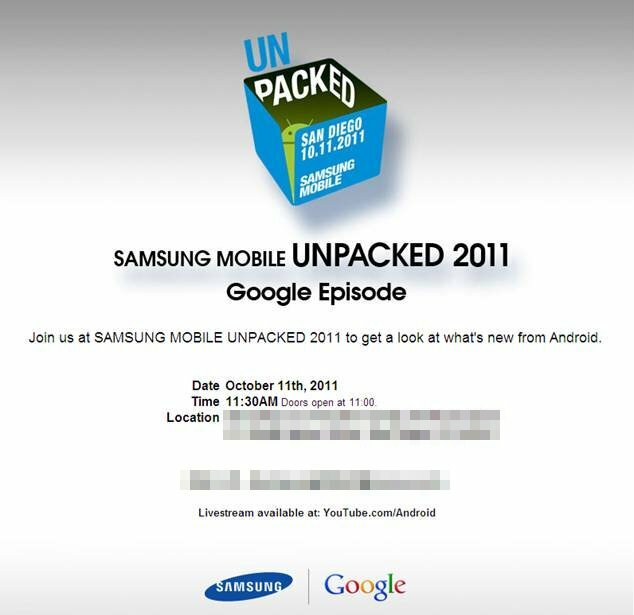 Samsung has announced that the product launch event scheduled for CTIA this Tuesday, October 11 has been canned. Rumor has it the announcement was postponed out of respect for the late Steve Jobs, who passed away Wednesday evening. Samsung and Google have decided to postpone the Samsung Mobile Unpacked event during the CTIA in San Diego, previously scheduled for Oct. 11. Under the current circumstances, both parties have agreed that this is not the appropriate time for the announcement of a new product. We would ask for the understanding of our clients and media for any inconvenience caused. We will announce a new date and venue in due course. While this is definetly sad news, it does not necessarily mean the release date has changed, just the announcement. Samsung and Google were expected to announce Android 4.0 Ice Cream Sandwich and the long-awaited Galaxy Nexus, which just saw a massive leak. In a span of ten minutes, news of the Galaxy Nexus has most likely both made and then ruined your day, lets hope the wait won’t be that long. Is this the Galaxy Nexus Boot Animation?